India Is Awesome! Ever Been? Plan to Visit India? National Geographic Editor and Chief, Keith Bellows, once said in regards to India, “When I first visited, I was stunned by the richness of the land, by its lush beauty and exotic architecture, by its ability to overload the senses with the pure, concentrated intensity of its colors, smells, tastes, and sounds” (Bellows, 2013). India is a country located in Asia. The paragraphs below are composed of facts about India including customs, clothing worn, places to visit, and much more. 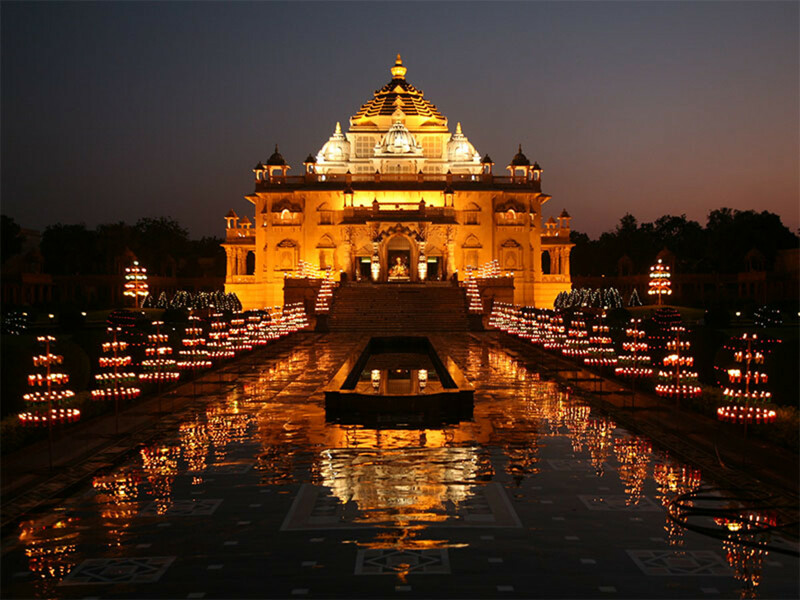 They are to serve as a guide for anyone wanting to visit India. 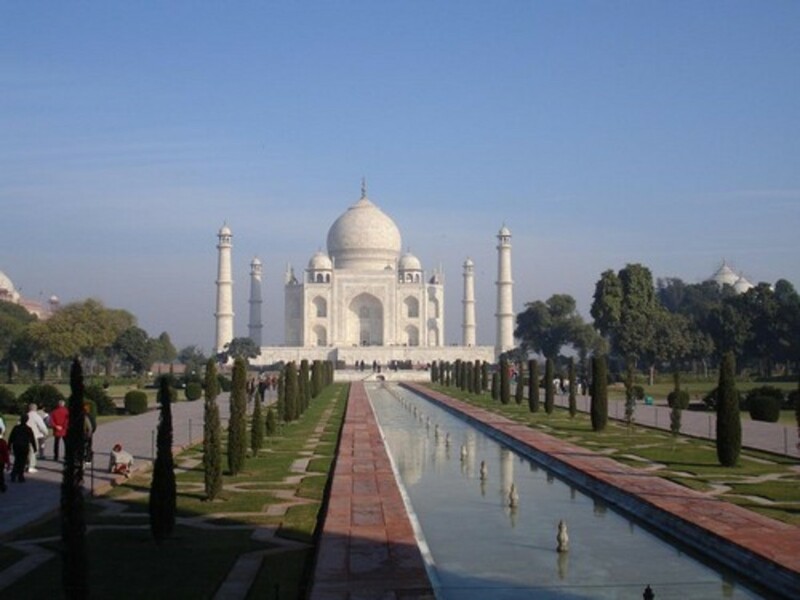 Two places that are a must see in India are the Taj Mahal and the Red Fort. 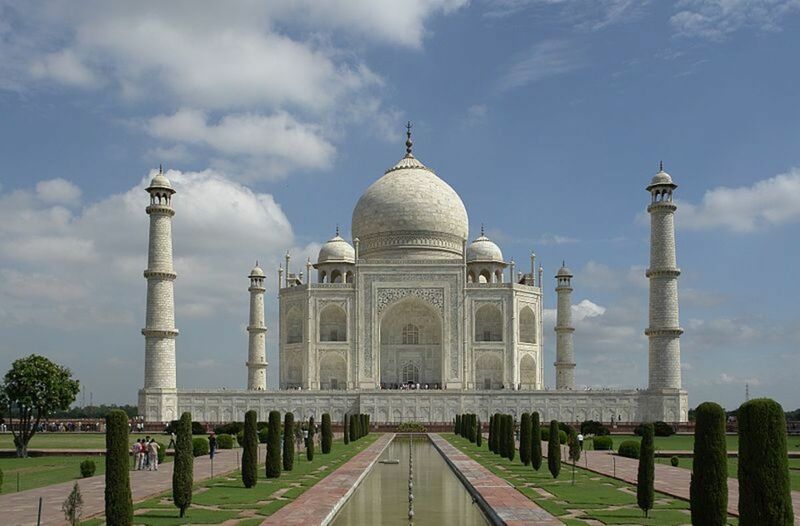 The Taj Mahal is located in Agra, India and it is a white marble tomb. 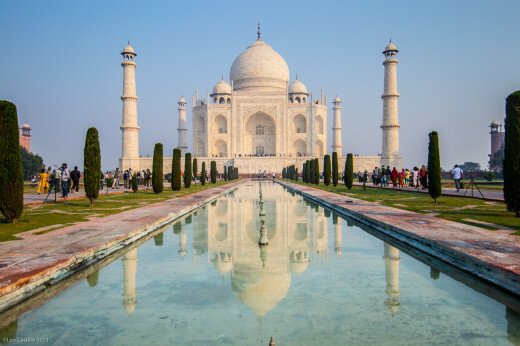 “The Taj Mahal is considered the finest example of Mughal architecture, a style that combines elements from Persian, Indian, and Islamic architectural styles” (Purshottam, 2013, p. overview 1). Visiting hours for the Taj Mahal are Monday through Sunday, excluding Fridays, from sunrise to sunset (Purshottam, 2013). Pictures of the Taj Mahal can be seen below, although Stanley Wolpert says that no picture can capture its true beauty (Wolpert, 2005). 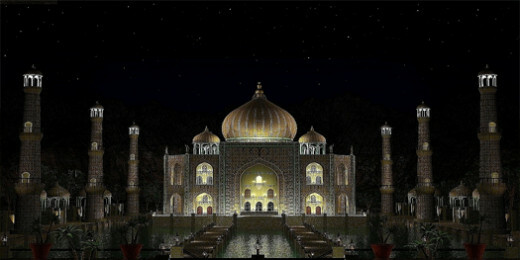 There is a night view included and a daytime view as Wolpert also says that the Taj Mahal changes in every light and at every angle (Wolpert, 2005). 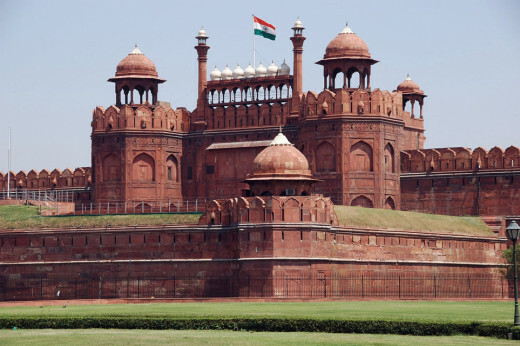 The second must see attraction in India is the Red Fort. 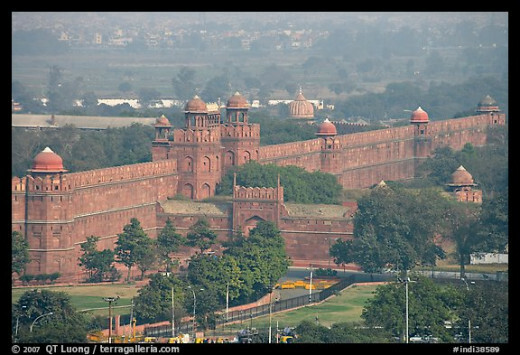 The Red Fort is in Delhi, India. It was built in 1638 in order to keep invaders out and now it is used to keep the noise from the city down (Delhi Tourism, 2013). Red sandstone is the main material used for building the structures, but the palace is made mostly of marble (Indira Gandhi, 2011). The fort measures about 900 m by 500 m and on the town side it is 33.5 m tall (Indira Gandhi, 2011). If wanting to visit, the Red Fort is open from sunrise to sunset Tuesday through Sunday and costs 250 rupees for foreigners (Delhi Tourism, 2013). The fort and the palaces inside are perfect for picture taking or leisure viewing. Pictures can be seen below. In order to visit the places above, it would be important to know that the main language spoken in India is Hindu, although there are a few other languages spoken scarcely throughout India. Another important thing to note is that people in India do not like to express the concept of no. They like to avoid expressing no both verbally and non-verbally. “Indians may give an affirmative answer but be deliberately vague about any specific details” (Kwintessential, 2012, p. 6.4). This is because they do not give negative answers. It is because of this that non-verbal cues are especially important in India (Kwintessential, 2012). Shaking hands with people in India is a gesture to be wary of. It is normal for women to shake hands with other women, and vice versa for men, but it is not typical for women and men to shake one another’s hand. This is because of the religious beliefs in India. Another thing to be wary of is telling people goodbye. Instead of addressing the group of people, each person must be told goodbye individually (Kwintessential, 2012). If visiting an Indians house, it is important to arrive close to the given time. Once one does arrive, he/she must take off his/her shoes before going into the house. Once inside, the first offer for a drink or snacks should be turned down. It will be offered again, and the recurring times it is fine to take the offer. A gift is not necessary when heading to an Indians home for dinner, but a couple things to avoid if taking a gift are frangipani or white flowers and leather. Dinner at the Indians house may consist of lamb, chicken, or fish, as those are the best non-vegetarian options to fit religious beliefs. A few things to keep in mind for dining etiquette are do not sit until you are told where to sit, you may be asked to wash your hands before and after dinner, only use your right hand to eat, and leave a little food on your plate so that it shows you are satisfied rather than still hungry (Kwintessential, 2012). Clothing that is worn in India is another concept that could be beneficial to know for visitors to the country. Men in India typically wear Dhoti Kurta. This is a piece of cloth that is unstitched and tied around the legs. The word kurta is describing a shirt that is long and loose. Men and women in India can both wear kurtas now, although it used to be strictly for men. The traditional outfit for women is called salwar kameez. It has been popular for many years and it is still popular today. 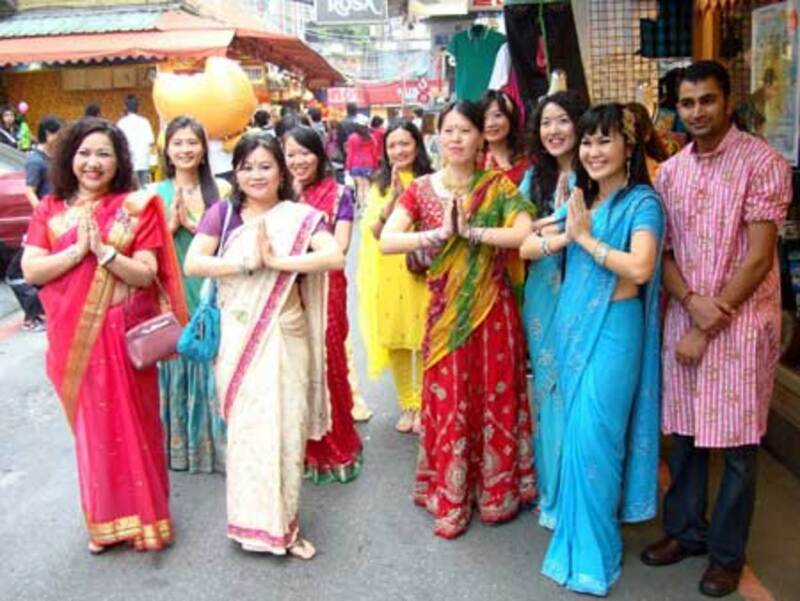 Another popular outfit is the sari, which is a dress that Indian women wear. An accessory that may be seen in India is a turban on the head of men. A turban is not for fashion, but it is worn because it is very important to Indians (Cultural India, 2013). For tourists, leave the shorts at home, and don't even think about wearing sleeveless shirts. Arms and legs are not meant to be bare in India. I would suggest thin, loose clothing for visiting in the summer months and heavy, shirts and pants for winter months. India is rigid cold in the winter and hot and humid in the summer. For colder months, Indian wool wraps are a good idea, and they are comfy too! For beach time, some beaches are fine with bikinis and one piece swimming suits for the ladies and speedos for the men, others except cover ups. The groups the people of India belong to determine the status of the individuals, rather than the individual himself. One group people belong to is family. Family in India is an important concept, as family ties run deep. Even the extended family is important to people in India. Sometimes in India, cousins are referred to as brothers and sisters because everyone is so close (Henderson, 2002). Each group is defined by hierarchs. When it comes to families, the father is the ultimate ruler, the patriarch (Kwintessential, 2012). Another group people in India belong to is a religious group. Four large religions started in India and those are Buddhism, Hinduism, Jainism, and Sikhism (Clothey, 2007). The main religion in India now, however, is Hinduism. Without Buddhism, Hinduism would not have been started, as many aspects of Hinduism are taken from Buddhism (Clothey, 2007). “Hindus believe that existence is a cycle of birth, death, and rebirth, governed by Karma” (BBC, 2009). They think that the soul lives on through many different lives and that the quality of the next life is dependent on how the person behaved in the last life (BBC, 2009). Marriages in India are different from marriages in the United States in a few different ways. When getting married, the involvement of the family is very important, as even the extended family plays a role. Many marriages are arraigned by the parents, rather than the couple themselves. A similarity between United States weddings and Indian weddings is that there is an engagement party before the wedding. In Southern India, the party is called Nischitartham and in Northern India is it called Mangni. The date and time for the wedding is then decided at the party and the bride and groom are blessed by the elders (Kwintessential, 2012). There are three national public holidays in India and those are Republic day, Independence Day, and Mahatma Gandhi’s birthday (GoCurrency, 2013). On these days, children get out of school and adults get off from work. There are also various religious holidays that are celebrated by different religions. “The Hindu celebrations of Diwali, Holi, Pongal and Dussehra are the most popular religious holidays in India and therefore are considered by the government to be public holidays” (GoCurrency, 2013, p. 3). The purpose of the festivals mentioned above is to worship something. For instance, Dussehra is a ten day festival for worshipping weapons or tools of trade such as cars, computers, cooking utensils, etc. (GoCurrency, 2013). Besides for the public holidays that everyone observes, there are also other holidays that are celebrated. An example of this in the United States is Halloween. Children and adults are expected to fulfill their daily responsibilities, but it is still celebrated by some that night or days leading up to the holiday. In closing, India would be a great option to consider when thinking of a country to visit. Mr. Bellows described how India is full of smells, tastes, colors, and more. There are many places of worth to visit in India, and as mentioned above two of those are the Taj Mahal and the Red Fort. In addition to having places to visit, India also presents a great learning opportunity to develop one’s intercultural communication. With the different religion, language, gestures, holidays, etc. in India, it would be a great place for a person to visit and get familiar with a different culture. Save those pennies are think of India for your next family, couple, or individual vacation. You could even backpack there! 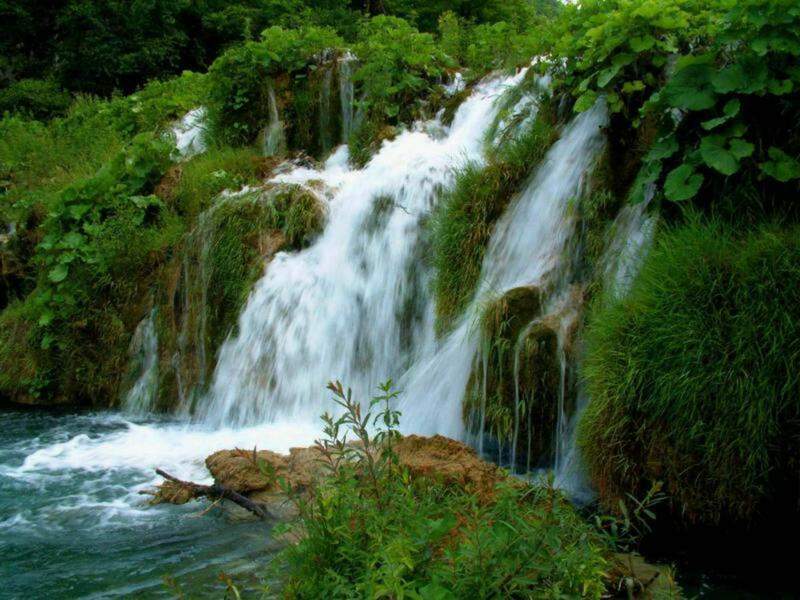 The country is huge and has some great backpacker hostels that are clean and welcoming. 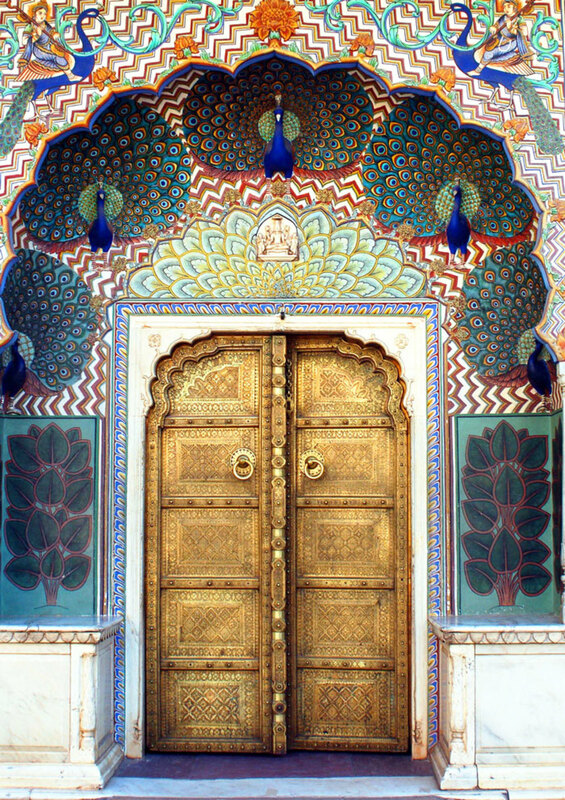 If the above paragraphs didn't convince you go to get in touch with yourself, eat the food, see the architecture and history that India has to offer, shop for some unique handicrafts, and broaden your horizon. If you do get away, have fun! Then, come back here and leave a comment about your trip. Already been? Tell us about it below!